It sounds much classier in French. Courtesy Lights of Soho and Bracey family. 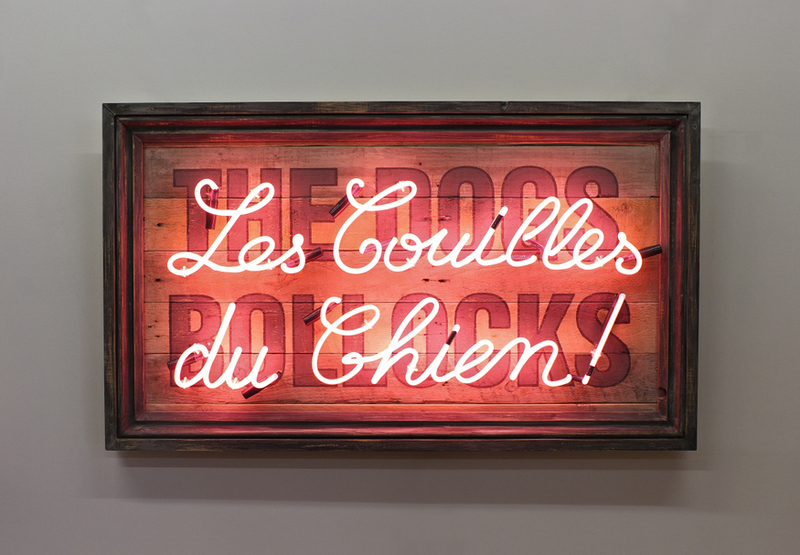 Neon signage has always been associated with the less salubrious outlets of Soho. But Chris Bracey aimed to change that by transferring his skills of making signs, a family business, into the world of fine art. His works appeared in the backgrounds of many Hollywood movies and his work sold in galleries. Though Chris died last year the Bracey clan is continuing the family business and visitors can still drop into their workshop in Walthamstow, God's Own Junkyard. If you're after a neon art in a more central location, then some of the work is coming to the Lights of Soho for a two-month exhibition to mark one year since Chris' death. It will feature work by the late Chris, his wife, his children and even his grand-children. It's the perfect setting as this private member's club and art gallery is the only London space purely dedicated to showcasing light art. It's going to be a bold, colourful and eye-catching show. 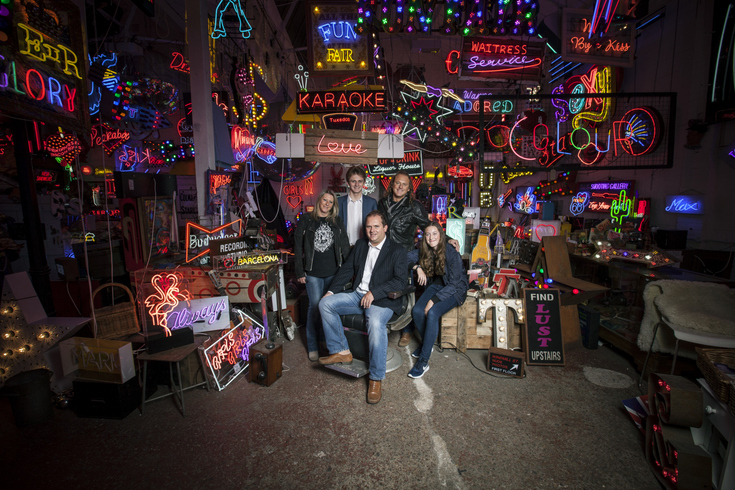 God's Own Junkyard - My Generation will be on at Lights of Soho from 26 November-31 January. Entrance is free and the space is open seven days a week from 11am until late.